BirdCam Pro. The Ultimate Wildlife Camera. The BirdCam Pro is a weatherproof, motion-activated, digital camera that takes crystal-clear photos and videos of wildlife. It is an 8 MP camera that includes an adjustable flash for nighttime photos and videos. A timelapse setting for recording non-animal subjects like weather, plants, or construction. It features a 2 inch color preview screen and can also send images directly to your computer with an optional Wi-Fi SD card. We Recommend the Hawk Eye HD Nature Cam. 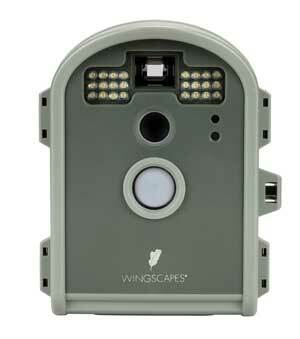 Wingscapes' PowerPanel ensures a continued power source for the BirdCam. 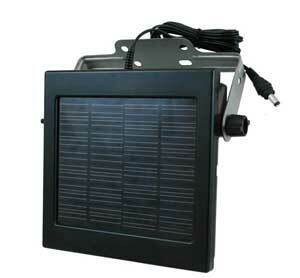 With the PowerPanel you never have to worry about missing a shot because of dead batteries. 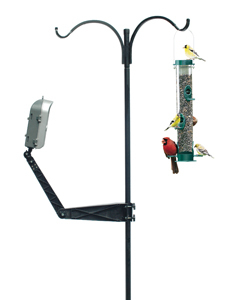 The Wingscapes Mounting Arm allows you to easily mount your BirdCam to any common bird feeder pole (outside diameter 0.5-1.5 inches) and can also attach to a post or tree. 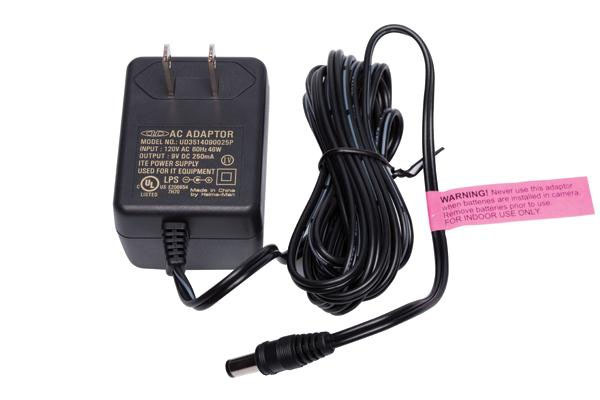 Wingscapes Camera Indoor A/C Power Adapter lets you power the BirdCam, TimelapseCam 8.0 and our other cameras from a regular, indoor outlet.